I’m guessing that you’re thinking The Goddess has plunged deeply off the edge of the earth, which most rational, sane people can make a case for on any given day anyway. But you really do have to try this. It is surprising and surprisingly delicious. With local berries in season, it’s the perfect time of year for this sauce, which is as good drizzled over grilled chicken as it is over good vanilla ice cream. This is perfect for the out of season berries we get most of the year, but with local berries this positively sings. It’s quite a simple sauce and I did it in the microwave. I used a 4 cup glass Pyrex measuring cup and I think it worked pretty well. 2 cups cleaned, destemmed sliced strawberries. Heat the maple syrup on HIGH in the microwave for about 2 minutes. Watch it closely, as the syrup bubbles up like crazy and depending on the power of your microwave can boil dry and burn. The syrup needs to be thick and reduced. Add the Cointreau and balsamic vinegar; heat again on HIGH until the mixture reduces slightly. Stir in the pomegranate molasses and orange zest. Add the diced strawberries and stir until well combined with the liquid. 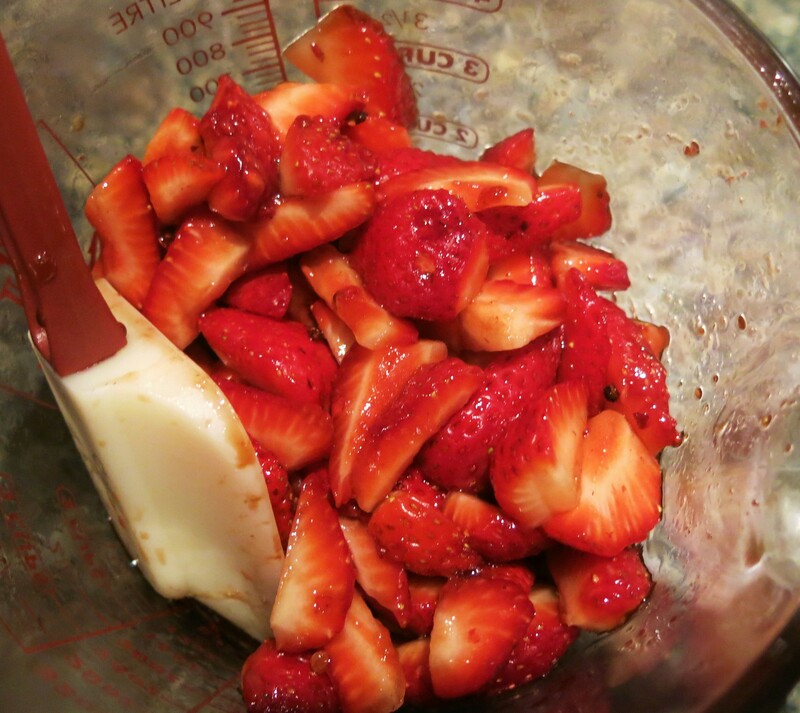 Cool to room temperature; stir in the sliced strawberries. Cover and chill, if desired. Serve over vanilla ice cream, with good bleu veined cheese or a slice of rich, triple cream Brie or over grilled or roasted chicken. NOTE: When serving over chicken, I warm the sauce slightly and add just a bit of julienned basil leaves or mint leaves. When using local berries, taste them first. If they are quite sweet, use the lesser amount of maple syrup. With local berries, I usually omit the pomegranate molasses and if needed for balance, increase the balsamic slightly. Strawberry Sauce with Pink Peppercorns Recipe©Marcia Lahens 2015. All rights reserved. As The Goddess mentioned earlier, this is a great sauce for grilled or pan-fried chicken…well really any chicken or salmon for that matter. Did The Goddess take pictures when she used the sauce? Of course she didn’t. Instead she grabbed her utensils and wolfed down the tasty morsels, all beautifully swaddled in Strawberry Sauce with Pink Peppercorns. This is Pink-on-Pink. Feel free to combine the berries with some cooked rhubarb, too. You’ll need to adjust the sweetness, but that version would be the perfect homage to spring, wouldn’t it? 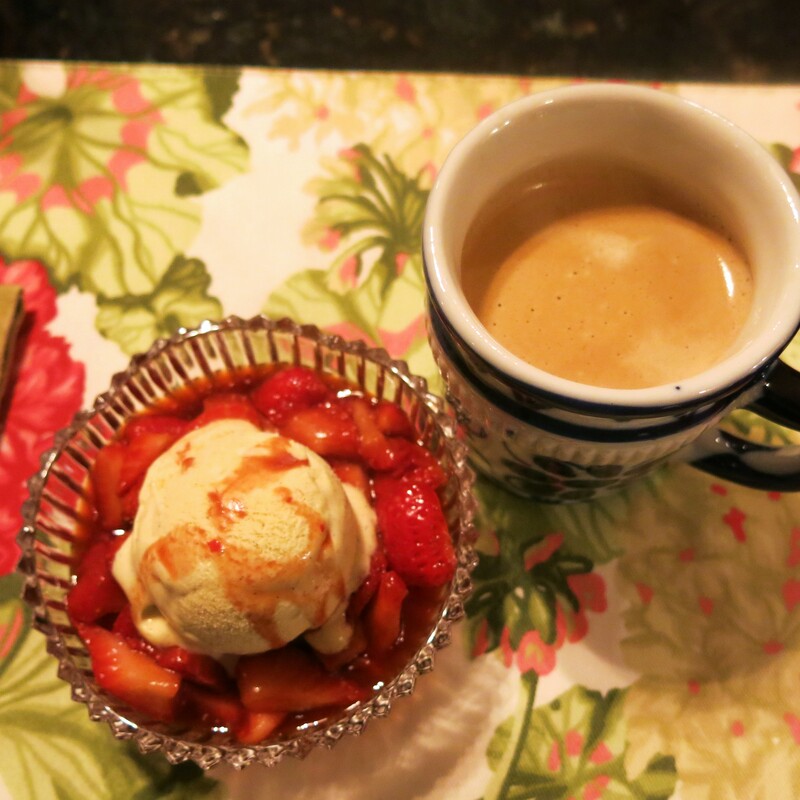 You may recall the Rhubarb-Hibiscus Bourbon Sauce from an earlier post. 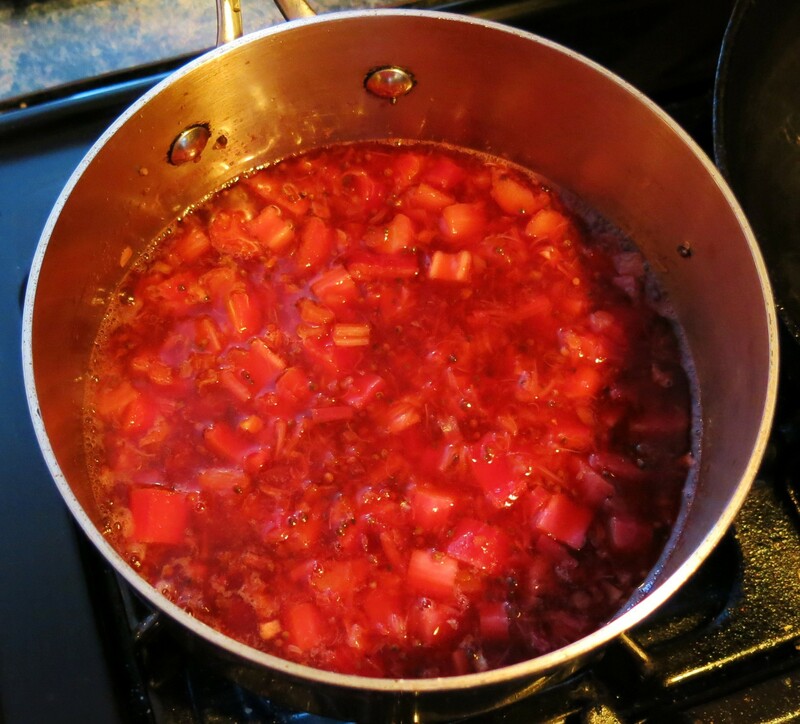 By all means, make that sauce, but add at least 1 cup of diced local berries at the end of cooking. Or after the sauce has cooled to room temperature, then add the berries. Just stir them in and let the mixture sit for awhile before serving. This version of the sauce will be jucier, but really, how is that a bad thing? And the sauce can be served either hot or at room temperature. And finally, I haven’t tried it, but I think this strawberry sauce might be good with liver paté and dark bread, as well as in Goddess Summer Rolls. What do you think?